We like to educate our homeowners. Here are some strategies below that will help you save energy, save money, and stay comfortable during the cool fall and cold winter month. From air sealing to improving ventilation to adding insulation, home winterizing helps consumers save money by saving energy. Winterizing is also a growing industry in the clean energy economy, creating jobs for home energy auditors and residential contractors. 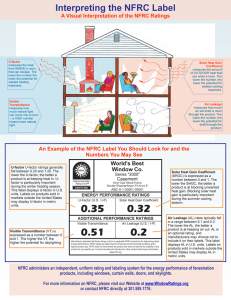 According to the Department of Energy’s website, Energy.gov, whether you have old windows or newer, vinyl replacement windows, they can account for as much as 30 percent of your home’s heating loss. Check every window and door to make sure there is adequate weatherstripping and caulking which will ensure a secure seal around the openings in your home. Seal up any little cracks or gaps where air can leak into your home. Many experts believe the average home has enough of these small holes to equal one three-foot by three-foot opening. If you have storm windows, put them on early in the autumn weather to help save on your home’s energy bills. Make sure to lock all the hardware on your windows. This creates a strong seal that prevents cold air from coming into the home. Even when closed, an unlocked window can still allow air to escape. Examine your windows. 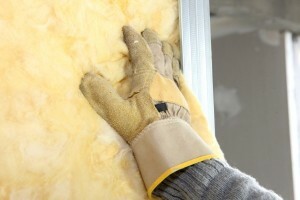 Make sure they’re doing their part to help insulate your home. Check for hot and cold spots or drafty areas inside your home near windows, which can indicate energy loss. Take a peek into today’s high-performance windows by Simonton Windows. They can reduce energy loss, provide increased strength and security — and even add to your home’s privacy. Q. How do I determine which windows and doors are energy-efficient? A. An ENERGY STAR rating is your assurance that windows and doors will deliver effective thermal performance in your climate zone. Only windows and doors that meet strict criteria set forth by the EPA are ENERGY STAR-qualified. Q. Which options do I select for my windows and doors to meet ENERGY STAR guidelines? A. Simonton has taken the guesswork out of choosing energy-efficient glass packages that meet ENERGY STAR guidelines. Just choose the ENERGY STAR glass package based on your region’s climate zone. It’s that simple! Q. What are R-values and U-values, and why does it matter? A. R-value is the resistance a material has to heat flow. The higher the R-value, the better the resistance. U-value is the amount of heat transferred through a material. The lower the U-value, the better the insulating quality. When shopping for windows or doors, look for higher R-values and lower U-values for the most energy-efficient products possible. Q. What is Low E/Argon-filled glass, and how does it help improve energy efficiency? A. Low E (Emissivity) glass has a special surface coating that allows short-wave energy to pass through but reflects long-wave infrared energy, improving the U-Value. Argon Gas is an odorless, colorless, tasteless, non-toxic gas that is six times denser than air. Because of its density, it’s used to replace air between the glass panes to reduce temperature transfer for better thermal efficiency. Call Jeff today for your free NO-HASSLE, NO-HYPE, NO GIMMICKS vinyl replacement windows estimate 770-318-8514.